Locate your Blue NRG account number. 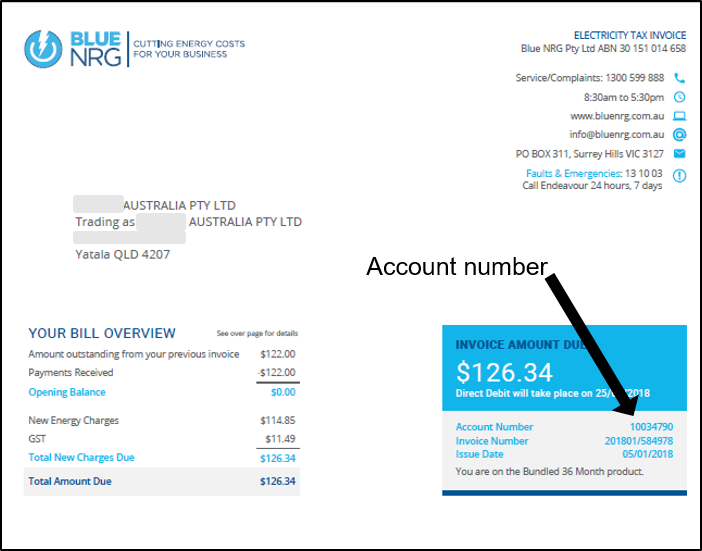 This can be found on the top section of your invoice (highlighted below), your monthly invoice email or on your Blue NRG contract. Enter your account number (from step 1) in the account number section (pictured below) and enter your email address. You need to enter the same email address as your Blue NRG account. 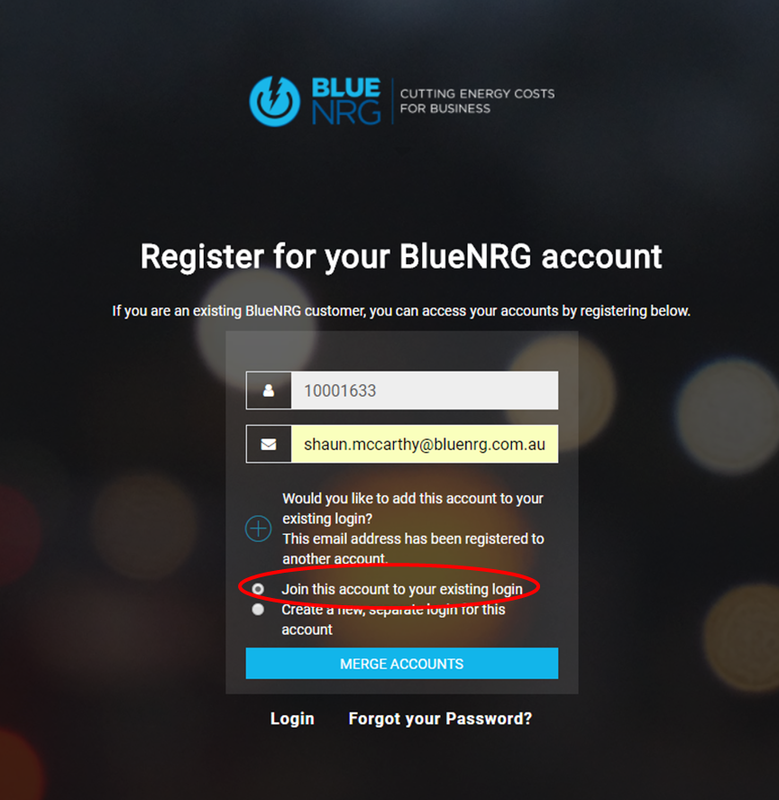 If you have multiple Blue NRG accounts 'My Account' will prompt you to merge your accounts. Once you have clicked 'MERGE ACCOUNTS' (pictured above) you will receive an email to confirm. Click the 'Add Accounts to My Existing Login' button on the email and the next time you login you'll see all of your accounts with the one login. Congratulations! You can now see all of your accounts with the one My Account login.